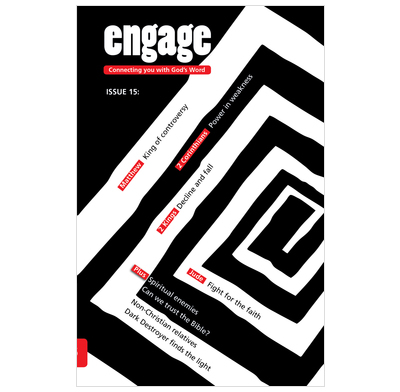 Issue 15 of Engage looks at Matthew, 2 Kings, 2 Corinthians and Jude. Issue 15 of Engage - daily Bible reading notes for teenagers. This issue looks at Matthew, 2 Kings, 2 Corinthians and Jude. There are also articles on spiritual enemies, trusting the Bible and talking to non-Christian relatives. • Can we trust the Bible?